Rubies, Always do research prior to purchasing a ring or a setting that you are going to add Rubies to. Like Diamonds, Ruby has high reputation in the gemstone industry and is amongst most sought after gemstones in the world are rubies and one of the Oldest Known gems in the World. Rubies make exquisite or modern style in rings, pins, earrings and ruby bracelets. 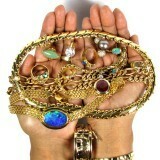 There are many vendors on this site that can help you find the piece of jewelry you want to purchase. 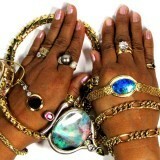 If you don’t see the piece you want or know how to select a piece of jewelry with ease ask several of the vendors for their opinion, Then look over the responses you get and work with the vendor you feel most comfortable with, Look at the feedback of your vendor as well as the stock in the stock in their store. 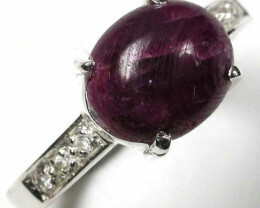 Ruby gemstones can be treated fissure filled or just simple heat process. Ruby Gemstones are one of the worlds most popular gemstone and is ideal to set in jewelry, The Ruby can be in a cabochon form, that is domed shape and makes ideal ring stone or ruby gemstone can be faceted. There are many different grades of faceting rubies, basically there are broad pattern cuts to fine close cuts, As we stated above Most rubies with little inclusion will be in a smaller size. 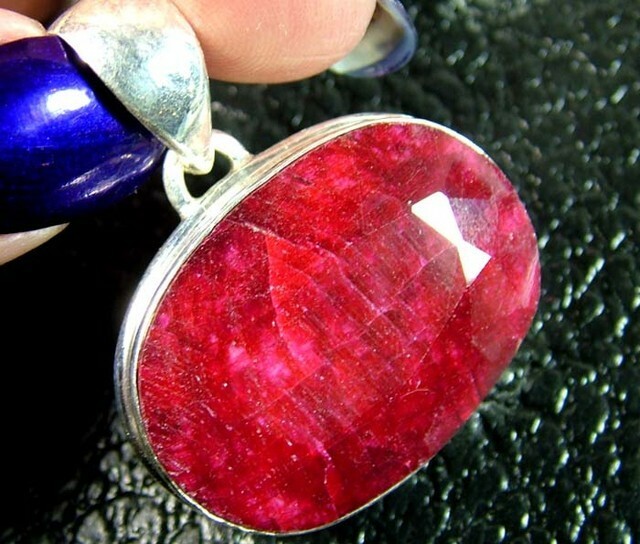 The better quality the ruby is the more facets are cut to bring out the best possible color display. Clarity normally determines the cut of a gem. Gems are normally treated or enhanced in the rough ‘uncut’ form. If a ruby has a Very good clarity You will normally see a Round or Emerald cut on a ruby. 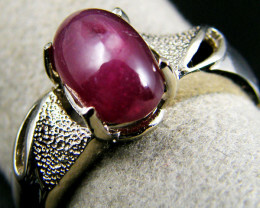 When a ruby has more inclusion or is opaque ‘meaning you cannot see thru the gem’ the ruby will be cut in a Cabochon. 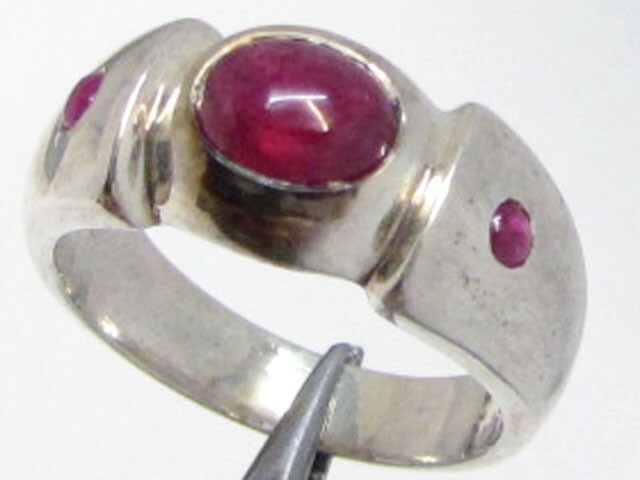 Cabochon rubies are mostly set in rings or pendants as claw set or bezel set and some people prefer diamonds to enhance the setting, which can make the ruby jewelry look traditional or modern. Today most rubies are heated and most have treatments, The only time You can be certain of a gem with NO treatments is if the ruby is certified, and even then you must look to see if the gem was tested for treatment, Many certified gems will just offer verification of authenticity not treatment. Testing for treatment will cost extra. Many buyers think they can just buy a gem and take the gem to a local jeweler for appraisal and testing for authenticity but unless your Jeweler is a Certified Gemologist they cannot offer you this information and be 100% correct. But gemstone Certification will allow you be sure of a natural ruby with treatment as there are so many treatments now done to rough ruby. 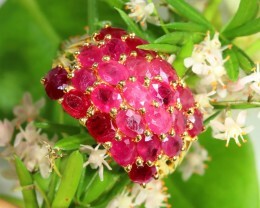 Rubies have been set in large cluster ruby rings and ruby pendants for centuries. The ruby can be set in groups of rubies and / or mixed with other gemstones such as sapphires and emeralds. 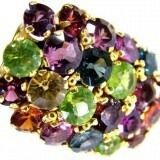 It is very common to see a piece of jewelry that includes rubies, emeralds and sapphires. Today lab created rubies are very popular due to the clean red fire colors which are now hard to find naturally. Lab created rubies shares the the same chemical composition as a real earth mined ruby, they are both made from chromium and titanium , The lab created ruby is less expensive and color is always very accurate. A better choice for those who do not want to spend thousands of dollars on a Inclusion free top color ruby. Lab created rubies can offer a more affordable gemstone. Either way ‘a lab created ruby or a Earth mined ruby will make a good selection for jewelry, they both share the same chemical make up and are very hard, a 9 on the Mohs’ scale, Making this gem a great choice for your piece of jewelry. 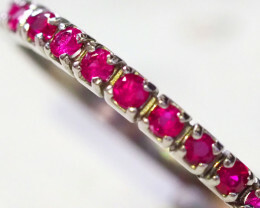 Only recently has white gold been used in ruby settings as traditionally yellow gold compliments the red ruby color.